If you head over to thewarondrugs.net right now, you’ll find a serene slideshow of black-and-white images of the band in the studio, which we figure can only mean one thing: new music. Set to some airy synth tones, the brief, autoplaying montage is perhaps meant to build anticipation for “Thinking of a Place,” The War on Drugs’ new 12” coming out on this Saturday’s Record Store Day. Below, you can see the group’s official announcement of the record, as well as its album art. Be sure to stay tuned for more on the band’s new music. 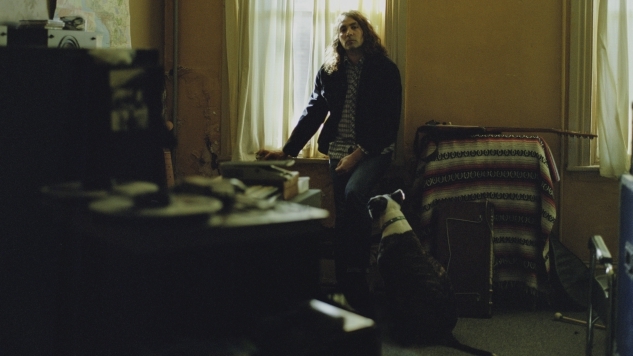 For now, take a listen to Paste Cloud audio from The War on Drugs’ 2011 Daytrotter Session below.